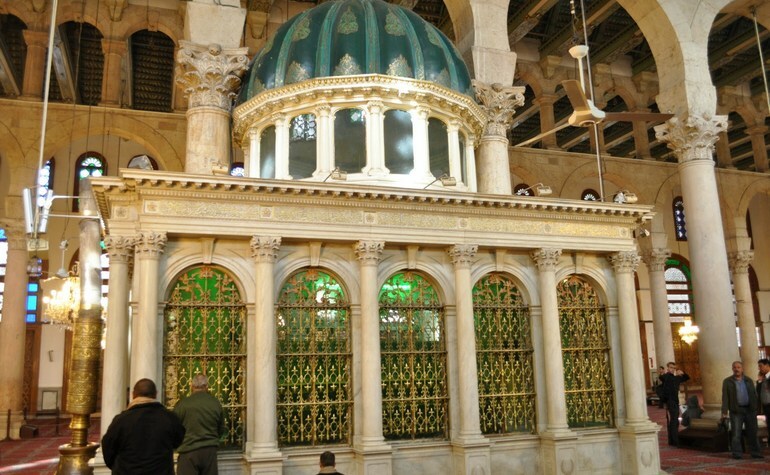 Legend has it that this small structure within the Umayyad Mosque houses the head of Yahya (upon him be peace) (John the Baptist). The head was supposedly found during excavations for the building of the mosque. Yahya (upon him be peace) is mentioned by name 5 times in the Holy Quran. He is the only Prophet whose name was chosen for him exclusively by Allah (ﷻ). 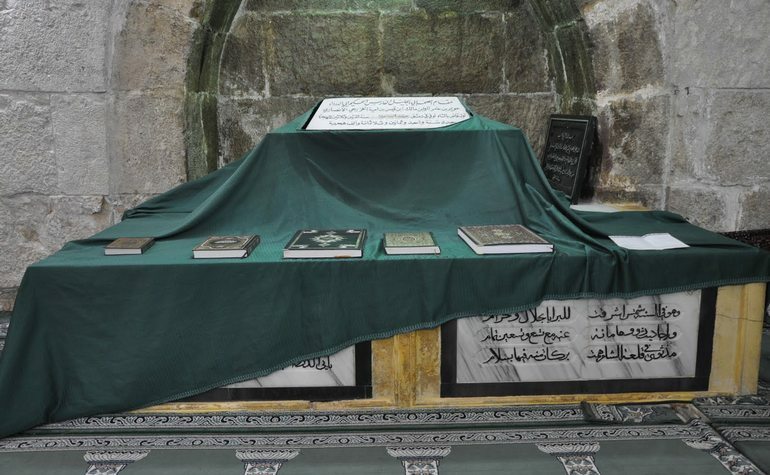 The Prophet Zakariyyah (upon him be peace) used to go to the temple daily (the current al-Aqsa Sanctuary) to deliver his sermons even though he had grown feeble with age. He was not a rich man, but he was always ready to help those in need. His one disappointment in life was that he had no children, for his wife was barren. This worried him, for he feared there was no one after him to carry out his work. The people needed a strong leader, for it they were left on their own, they would move away from Allah’s teachings and change the Holy Laws to suit themselves. During one of his visits to the temple, he went to check on Maryam (upon him be peace) [Mary], who was living in a secluded room of the temple. He was surprised to find fresh out of season fruit in her room. Besides him, no one had entry to her room. When he inquired, she told him that the fruit was from Allah which she found every morning. But why was he so surprised, she asked him. Did he not know that Allah provides without measure for whom He wills? This noble girl had opened his eyes to a startling idea. Could he not ask his Lord to bless him with a child in his old age? Even though his wife was past childbearing age, nothing was impossible for Allah (ﷻ). The name Yahya literally means ‘he lives’. Qatadah (may Allah show mercy on him) says this name was given to him because Allah had given him the inner life through Iman and Nubuwwah (i.e. belief and prophethood). Some say it was because Allah (ﷻ) brought people to life by guiding them through Yahya (upon him be peace). Yet others have said it was due to his mother’s womb being brought back to life after being barren until old age. Yahya (upon him be peace) was born six months before Isa (upon him be peace). His mother was the sister of Hanna, who was the mother of Maryam (upon her be peace). When supplicating for a child Zakariyyah had specifically asked for a ‘pure child’ (Quran 3:38). According to his wishes, Allah (ﷻ) granted him an extraordinary son. In infancy, Yahya (upon him be peace) was instructed by Allah (ﷻ) to adhere and abide to the teachings of the Torah. He was also given the duty of propagating and communicating it to the people. Allah (ﷻ) granted him tremendous maturity and wisdom while he was still a child, and according to some historians, he was endowed with prophethood before the age of thirty. Yahya (upon him be peace) preferred solitude to company. He ate leaves of trees and sometimes locusts or grasshoppers and drank the water of springs. He wept much from the fear of Allah and was the epitome of chastity, remaining unmarried throughout his life. A conflict took place between Yahya (upon him be peace) and the authorities at that time. A tyrant king, Herod Antipas, the ruler of Palestine, was in love with Salome, his brother’s daughter. He was planning to marry his beautiful niece. The marriage was encouraged by her mother and by some of the learned men of Zion, either out of fear or to gain favour with the ruler. On hearing the ruler’s plan, Yahya (upon him be peace) pronounced that such a marriage would be incestuous. He would not approve it under any circumstance, as it was against the Law of the Torah. Yahya (upon him be peace)’s pronouncement spread like wildfire. Salome was angry, for it was her ambition to rule the kingdom with her uncle. She plotted to achieve her aim. Dressing attractively, she sang and danced before her uncle, arousing Herod’s lust. Embracing her, he offered to fulfill whatever she desired. At once she told him: “I would love to have the head of Yahya, because he has defiled your honour and mine throughout the land. If you grant me this wish, I shall be very happy and will offer myself to you.” Bewitched by her charm, he submitted to her monstrous request. 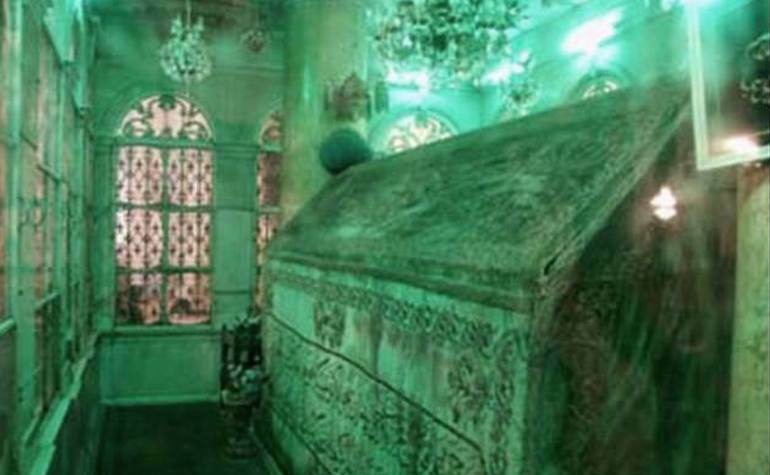 Yahya (upon him be peace) was executed and his head was brought to Salome. The cruel woman gloated with delight. 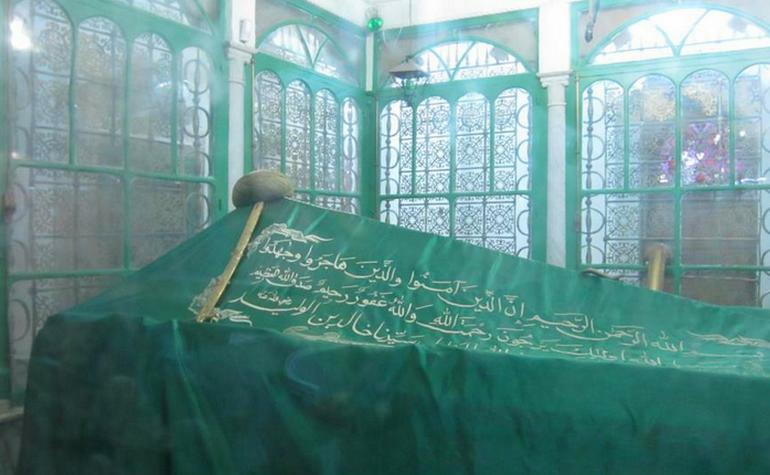 But the death of Allah’s beloved prophet was avenged. Not only she, but all the children of Israel were severely punished by invading armies which destroyed their kingdom. According to Biblical sources, Yahya (upon him be peace) died in the year 36 CE aged 42. References: Atlas of the Quran – Dr. Shauqi Abu Khalili, Stories of the Prophets – Ibn Kathir, HUMA Travel guide to Palestine.